Preservation Commission chair Diane Williams at a meeting. Members on Tuesday voted unanimously to deny the city’s certificate of appropriateness to demolish Harley Clarke Mansion. The Evanston Preservation Commission unanimously denied the city’s application to demolish the Harley Clarke Mansion at Tuesday’s Preservation Commission meeting. 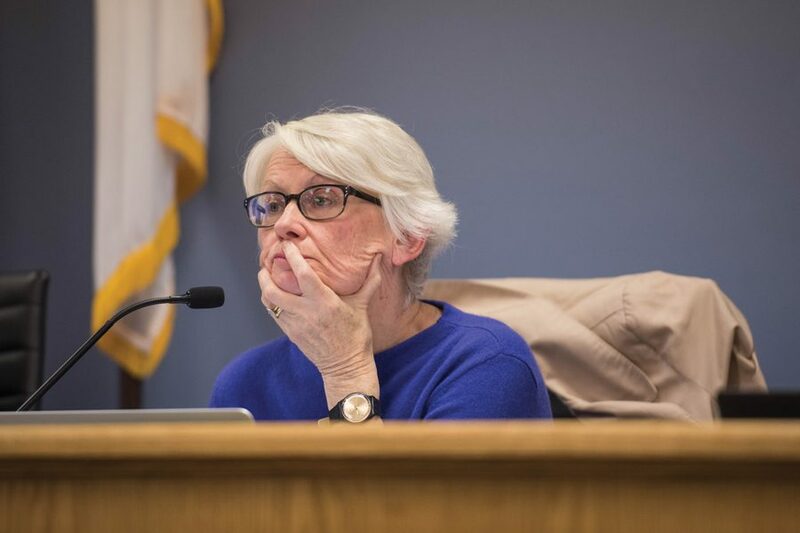 A total of 35 expert architects and historians, as well as Evanston residents — arranged by statewide nonprofit Landmarks Illinois — urged the commission to deny the certificate of appropriation application during public comment after city manager Wally Bobkiewicz formally presented the application. The 11-member commission — absent one member — voted based on five standards found in the city’s Preservation’s Ordinance. Commission vice chair Ken Itle moved to deny the city’s application on the grounds that it did not meet any of the five standards. Harley Clarke Mansion, which sits along the lakefront in north Evanston, has been vacant since 2015 when the Evanston Arts Center moved out of the facility. Since then, residents and city officials have been discussing possible renovation and restructuring of the facility, as well as options for demolition. In July, City Council voted 5-3 to move forward with demolition of the mansion. On Oct. 9, they voted to allow commissioners to inspect the mansion’s interior but rejected a similar application made on behalf of architects and engineers from Landmarks Illinois. The commission directed staff to create a findings of fact report for their next meeting on Nov. 13. Following that meeting, city staff can either appeal the decision directly to City Council or pursue a certificate of special merit or certificate of economic hardship. “I’m very pleased the Preservation Commission came out so strongly in support of preserving the mansion,” Ald. Eleanor Revelle (7th) told The Daily after the meeting. As the commission read the roll call vote on the motion, some audience members pulled out their phones to record the decision. The room broke out in applause when commission chair Diane Williams said the motion passed unanimously.